Dark Money (2016) is a chilling look behind the scenes of American politics, outlining how a small handful of the country’s richest people have been influencing the country’s political landscape since the 1970s. 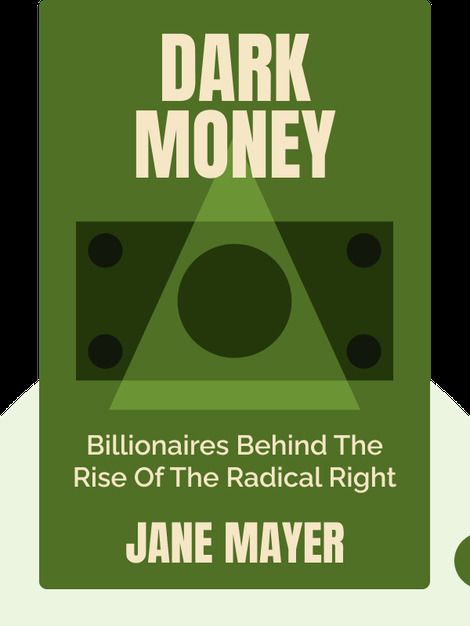 Far from a conspiracy theory, these are the cold hard facts of the powerful and immensely wealthy individuals behind the rise of today’s radical right-wing conservative movement. 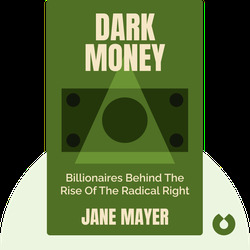 Jane Mayer is an investigative journalist and staff writer for the New Yorker and recipient of the John Chancellor Award for Excellence in Journalism in 2008. She is also the author of The Dark Side: the Inside Story of How the War on Terror Turned into a War on American Ideals.